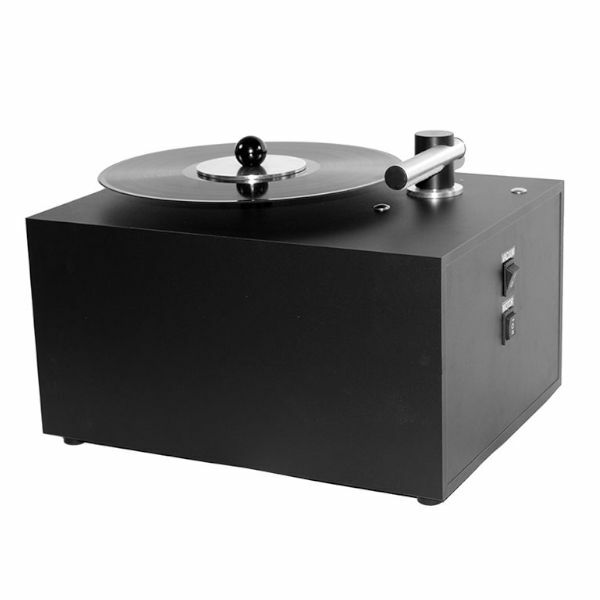 The Pro-Ject VC-S Vinyl Cleaning Machine is an extremely capable system that removes dirt and dust from your valuable records. It works fast and easy. The special clamp keeps your recordlabel dry. 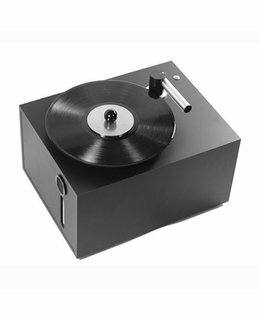  It turns the record superfast within 2 seconds per rotation, which is about 3 times faster than usual cleaning machines do. 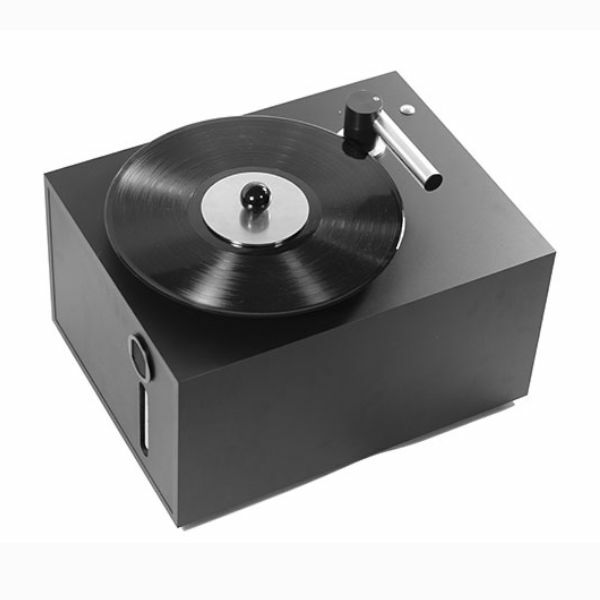 The result is a much faster cleaning of records as well as much cleaner and 100% dry records with NO residual humidity!  A new type of clamp seales the record label from cleaning fluid and avoids damage on the label!!  Big container (2,5 l) for used fluid, that shows fill-up capacity and guarantees no spoil arround of used cleaning fluid. Discharging of used fluid is extremely easy to do.  Newly developed vinyl cleaning concentrate Wash it & Wash it 78, which offers very good cleaning results and reduces static charge, so record wear as well as stylus wear is signaficantly reduced.